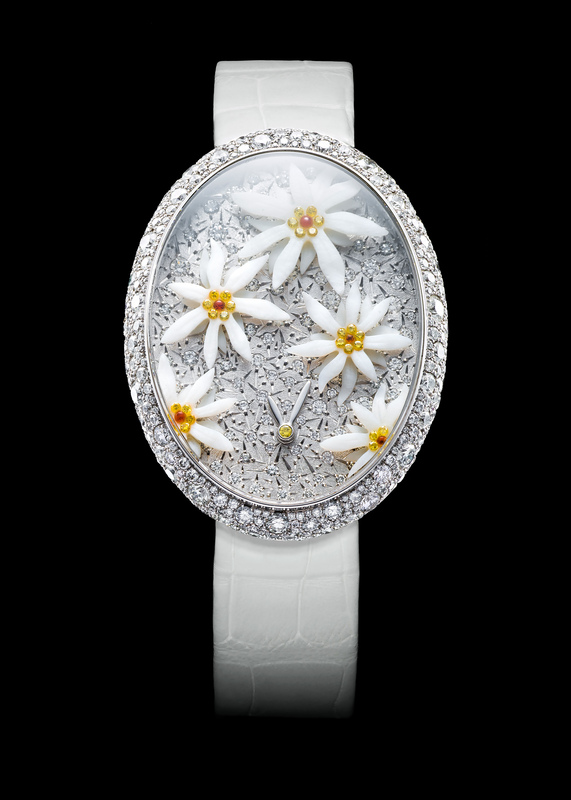 “Edelsnow” is an exquisitely crafted fresh and delightful ladies’ timepiece that explores the Métiers d’Art by drawing the viewer’s attention to the delicately layered complexity that renders this piece truly unique. Dive into a whirl of white petals all masterfully carved from Coco mother-of-pearl. Infinitesimal engravings and white diamonds form the star flecked base of this frosty Alpine miniature world. 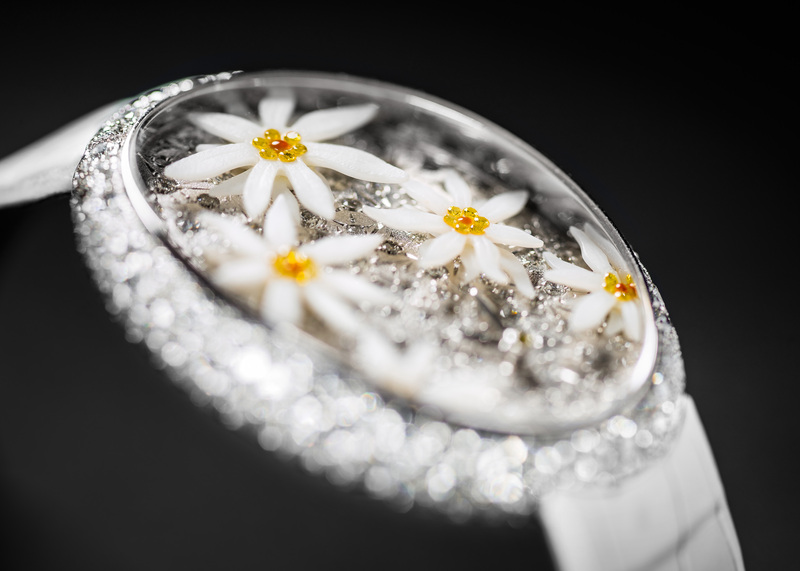 The heart of each Edelweiss is composed of a myriad of yellow diamonds and orange sapphires.